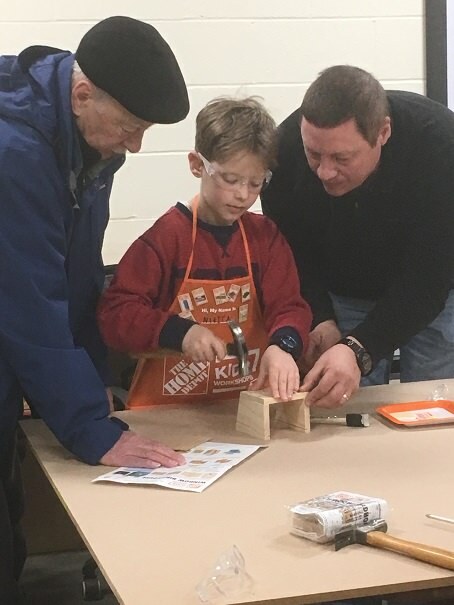 The April Kids Workshop, is a favorite workshop among our experienced little builders. 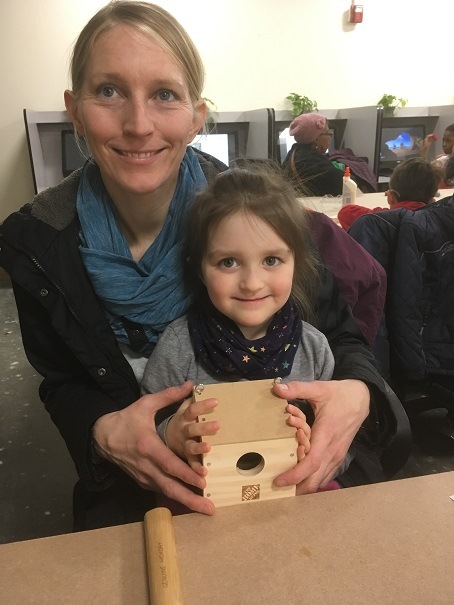 Each spring there is a workshop dedicated to housing or feeding our feathered friends; this year’s spring workshop kit was a “window birdhouse”, the kit came complete with tiny suction cups for easy hanging on any window. The back panel of the birdhouse is made of plexi-glass to allow viewing the habitat of the birds when hung on a window. It was a small birdhouse but it took many steps to construct the “see-thru” bird residence. The hammering was no problem at all; the kids pounded the nails right into the designate holes but the screws that held the bottom in place were, a bit more challenging. 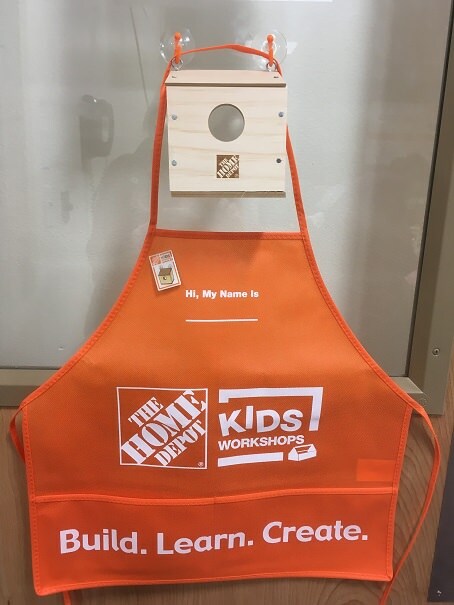 Several little builders wanted to, just nail the bottom on, but “the screws allow you to open the bird house for cleaning” one mom told her tiny builder….that step was an exercise in patience, for both the adults and the children. I hope that some winged friends will make the birdhouses their new nesting place! It will be amazing for families to watch the birds construct a nesting place, this was such a great project. I look forward to hearing stories about the birdhouses; maybe generations of birds will enjoy making it their family home each spring. 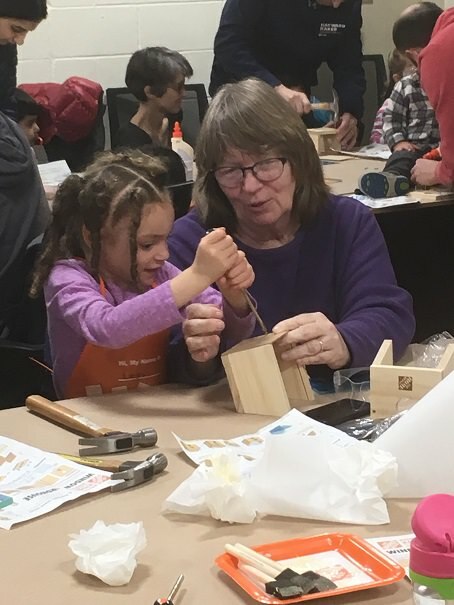 It was easy to see that the generations of this family enjoyed making the birdhouse project.